Close to the Marina – Sea front location with short walk to the Port, all the Shops, Bars and Restaurants. Best Breakfast in Fethiye, friendly crew & great service! NEWLY opened by the Marina! BEST BREAKFAST in Fethiye with various options from muesli, yogurt, Aussie vegemite to traditional Turkish breakfast and much more with coffee and tea on offer. Breakfast is included in all room rates. - Various Group Activities & Daily excursions trough the Summer! 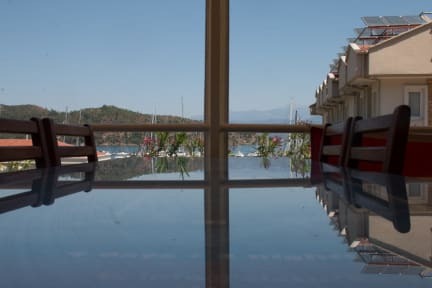 Fethiye Guesthouse is owned and run by 'Alaturka Yachting & Travel', a leading Blue Cruise Company that also operates bus tours to many destinations in Turkey. Our crew will help you with any enquiries for your stay. 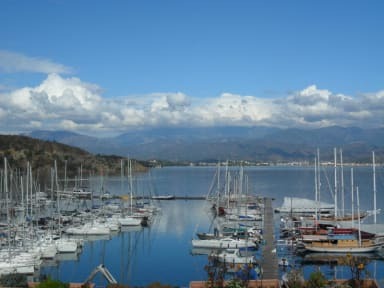 Fethiye Guesthouse is a great meeting point for many travellers. The guesthouse, owned by Alaturka Yachting & Travel own a number of yachts & many transport options to help you organise any local trips. You may want to visit some nearby beaches, Saklikent Gorge, Kayakoy, Turkish bath, our friendly crew can help you book any of these in.... with extra cost. We will help you enjoy Fethiye as much as possible.